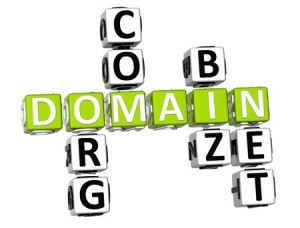 Choosing a domain name for your business. You made the decision; you are starting your own business, well done, good choice. But as you know yourself you have a lot of hard work ahead of you. All that will pay off if you do proper research and persevere. As a business in 2014, a website along with an inbound marketing strategy is not a luxury but an absolute necessity. The URL is the address of where potential clients or users will find your website to view your products or services. Basically a domain name consists of two parts, your chosen name and the extension. Choosing the right domain name extension. Let’s refer back to our example of www.yourbusinessname.co.za. In South Africa the allocated extension is .co.za (COZA). Countries (+- 300 domain extensions) all over the world have got their own extensions assigned to them e.g. Interestingly is that the domain .tv is not assigned for television stations but belongs to the Tuvalu Islands. Globally the most popular domain is .com followed by .net, but do you need to have either of them? There are no set rules when choosing a domain extension. A couple of years ago .com domains were associated with companies who operated internationally but that faded away as more local business are registering .com domains provided they are available. These are reserved for non-profit organisations, although they are technically available for everyone to register. It is however not recommended for business. In South Africa you can register the .org.za domain name but some service providers will request certain documents to prove that you are a non-profit organisation. Your domain name should not be too long otherwise you might confuse users. Long names usually are also spelt wrong. Yes, you can split the name using a hyphen, e.g. www.domain-name.com. This will make it easier for users to remember. Make sure that your name does not clash with that of another brand or business. If you are in doubt rather consult an attorney who will be able to do a proper domain audit. Great, so you have your name and extension. Next, you need to check the availability of your domain name before registering the actual name. You can visit a website like Domains.co.za to check if the name is available. If the name is available you can contact any hosting provider and do the application online. 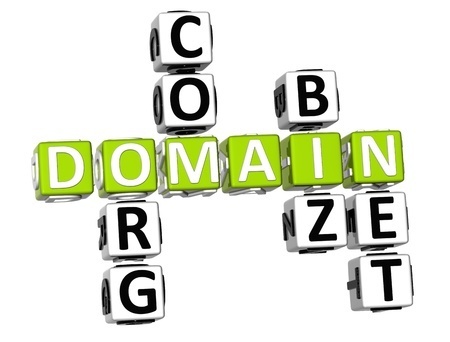 Cost for .co.za domains names are in the region of R79 and for .com domain names R129. What not to do when you register a domain name. Domain authorities are very strict with the registering of domain names and at the moment there are a number of domain disputes. Typically a user thinks that he/she can register a domain that includes the name of a well-known brand or existing business. Example: The domain name virginpoker.co.za was registered. The Virgin Company lodged a complaint and after a legal process the domain owner of virginpoker.co.za was ordered to transfer the domain to the Virgin group. Registering a domain name should not be a difficult task but it is important to get the right domain name as this will most probably be your business address (URL) for many years to come. Have more questions? Feel free to contact us or leave a comment below.